You are here: Home News Royal Wharf Presentation at Queens University, Belfast. Royal Wharf Presentation at Queens University, Belfast. 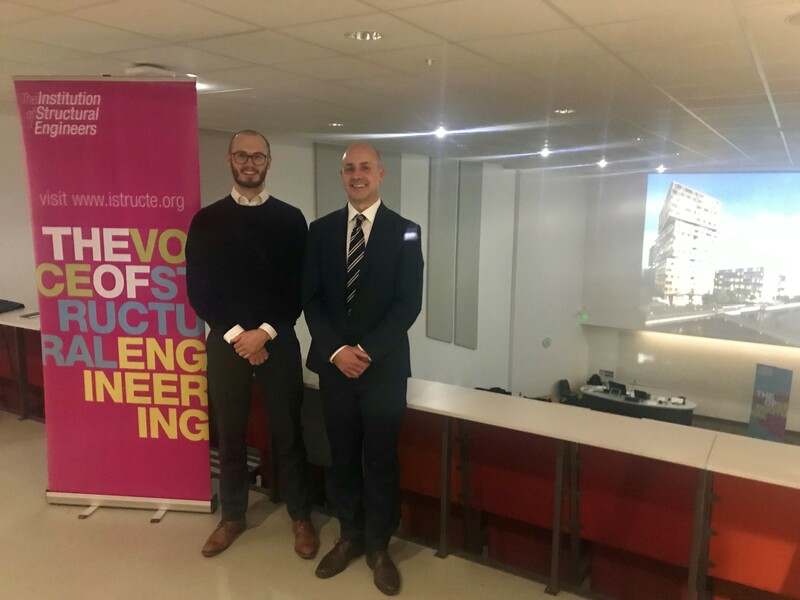 On 15th February, David Fletcher and Matt Thompson, OCSC Belfast office, provided a talk on the Royal Wharf London project to the Institution of Structural Engineers and The Concrete Society at Queens University, Belfast. OCSC started work on the Royal Wharf project in the East End of London in 2014. The project still continues with the delivery of 3385 residential units and 40,000sq.m commercial space ongoing. The project includes 24 plots ranging in height between 4 and 18 storeys and constructed in various forms of construction. These include reinforced and post tensioned flat slabs, precast concrete composite wall panels, precast concrete internal walls, and floor units and exposed aggregate precast concrete facades. David Fletcher provided an overview of the project including challenges met during the design and construction stages. 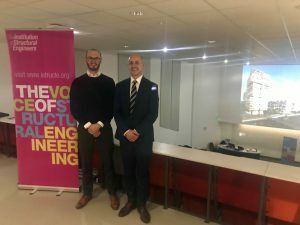 While Matt Thompson provided an overview of the design and construction of the river wall along the River Thames.